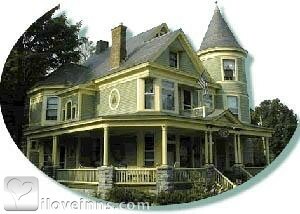 Poultney bed and breakfast travel guide for romantic, historic and adventure b&b's. Browse through the iLoveInns.com database of Poultney, Vermont bed and breakfasts and country inns to find detailed listings that include room rates, special deals and area activities. You can click on the 'check rates and availability' button to contact the innkeeper. Poultney, Vermont offers some amazing attractions for people who come to visit. Lovers of nature enjoy the waters of Lake Saint Catherine State Park or trekking in the forests surrounding the lake. Bird-watching is popular and the Bird Mountain Wildlife Management Area is a favorite destination. Indoor attractions include Vermont Marble Exhibit, Wilson Castle, and Paramount Theatre. Woodard Marine offers boat rentals. There are many festivals held in Poultney and in the towns neighboring it. The town's Annual Youth Flea Market draws young people from all over the state. There's also the Annual Strawberry Festival. Book your Poultney bed and breakfast inn in advance for these. By Bentley House B&B.